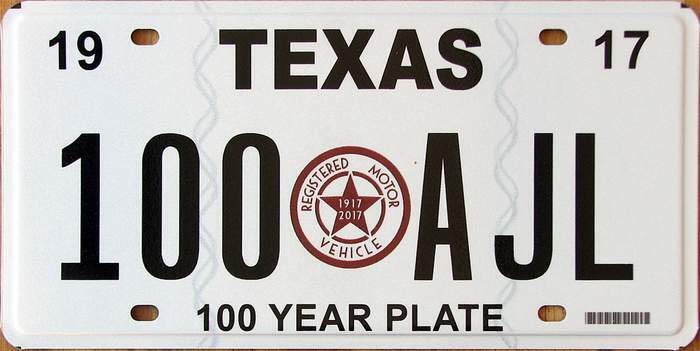 Although there were 17 beautiful as well as legible plates to choose from, New Mexico won by a huge margin. 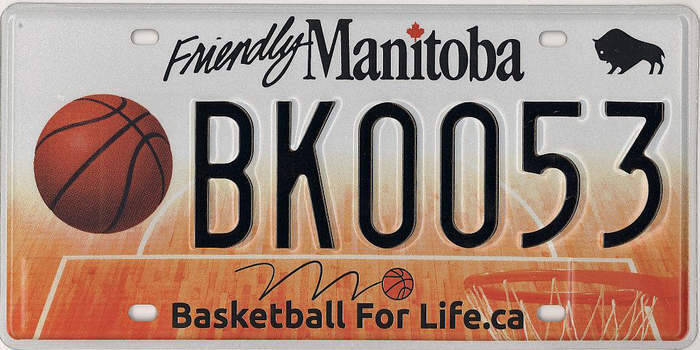 About half of those voting chose this plate as one of their 3 picks. 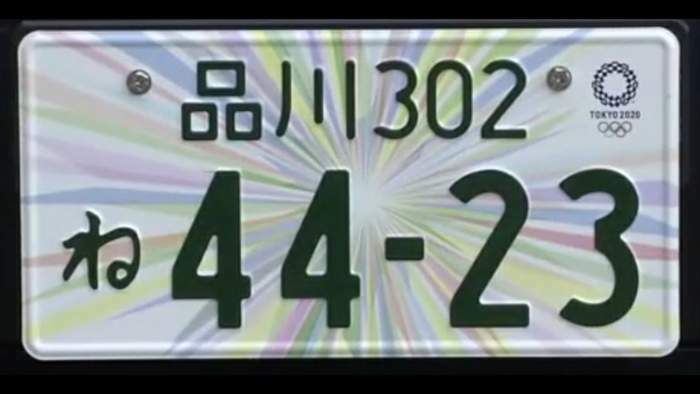 Raymond Santoro (6074) from Arizona commented "The New Mexico plate is stunning I've seen them on the road and they immediately catch your attention. Visually dynamic and embossed!" Jim Fox (1186) chose this plate for first, second and third choice with the comment, "I like peppers, Gus" (although I could only count it as 5 points). 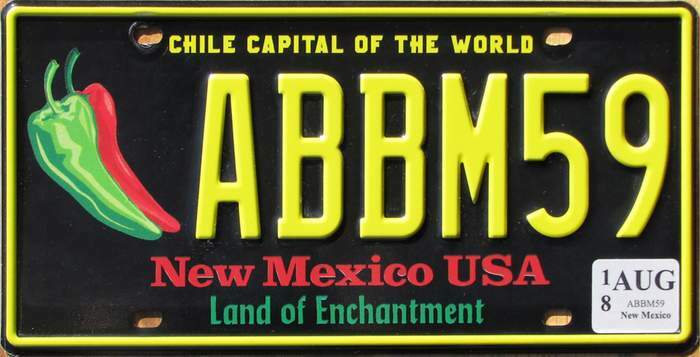 The yellow, red and green lettering complimented each other while contrasting with the black background thus establishing New Mexico's claim as the Chile Capital of the World. 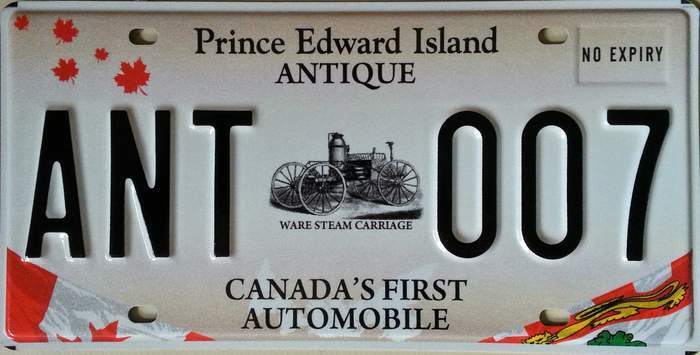 The state legislature originally passed the bill to issue the plate as a fund raiser for the Farm and Ranch Heritage Museum. 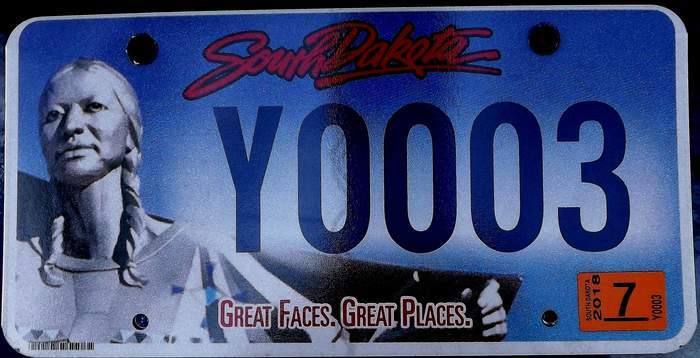 However, Governor Susana Martinez vetoed it so it could become the next general issue plate. 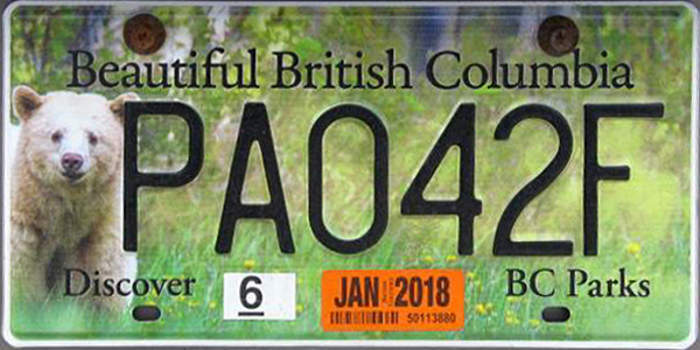 The MVD director has the power to create a license plate at his discretion as was done in this case. 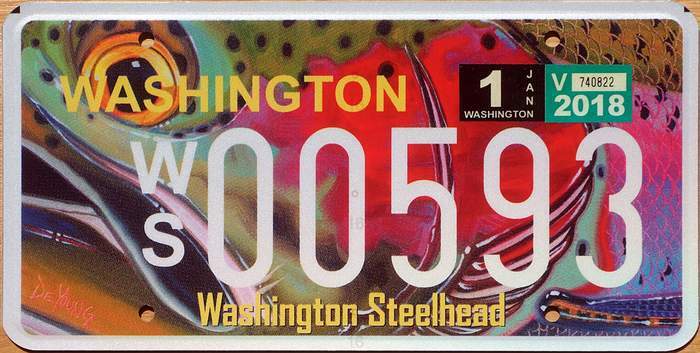 Now new registrants can choose between this plate, a slightly revised version of the yellow on turquoise Centennial plate that was New Mexico's first plate to win the Best Plate Award in 2010 and a red on yellow plate that was only general issue plate prior to the Centennial plate. 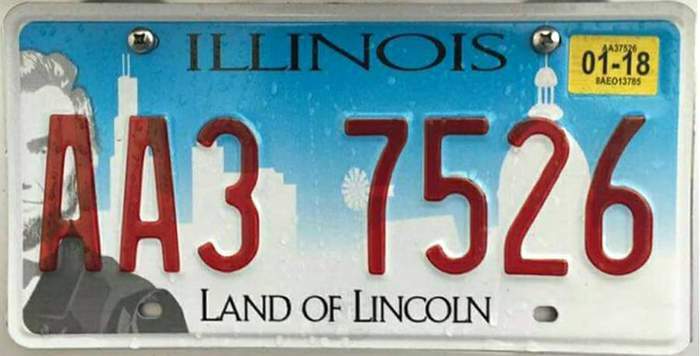 Several people have questioned if this was truly a "standard" general issue plate or just an "alternate" choice. On New Mexico's website all three are clearly listed under the heading of "Standard License Plate". 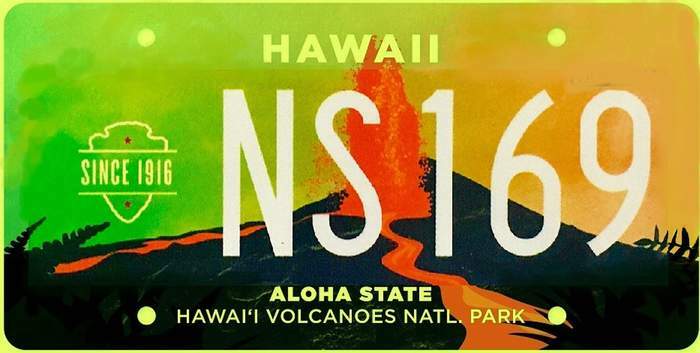 I was somewhat concerned since we had so many plates on the ballot. In the past a committee was used to par the list down by eliminating those that were either not very legible or not attractive. However, I felt each one of these was legible and attractive so none were eliminated. I received far more positive comments than negative. Donald Meyer (2263) commented "They're all great hard to pick one!" 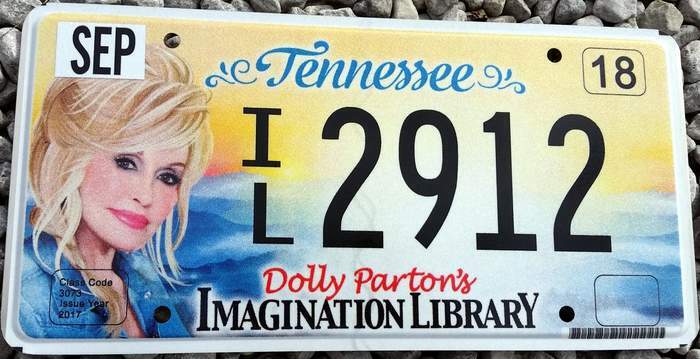 John Smith (4713) commented, "Best selection of plates in years, Gus. Keep up the good work!" 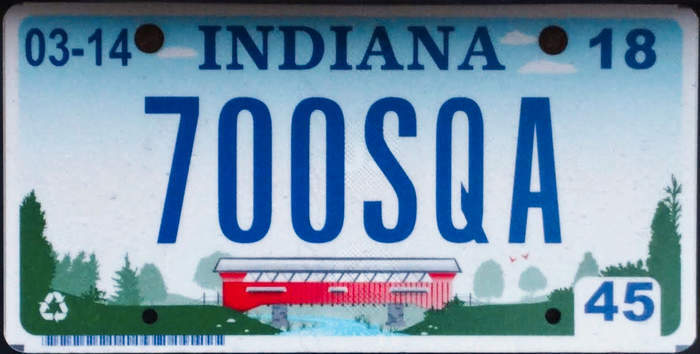 I ask you instead to keep up the good work as it was our members who nominated all of these great plates. Hawaii came in second, Wyoming was third and Oklahoma was fourth. These top 4 plates accounted for just a fraction shy of 50% of the points. As of the print deadline, the award presentation has not yet been planned but I will put out an announcement once the details are finalized. Hopefully, it will be a public event where any ALPCA members can attend like the presentation for this award for 2010. Although governors rarely attend these, Governor Martinez not only attended that presentation but stayed and met the many ALPCA members which were mostly from New Mexico. Since this plate was one of her legacies to New Mexico, we hope she will attend this presentation again. I would like to thank everyone who participated in any way.